Caitlin Petre is a Ph.D. candidate in the Department of Sociology at New York University, where she studies how technological change — in particular, the rise of ‘big data’ — is shaping social processes of knowledge production. Before coming to NYU, she was an account executive at Fenton Communications, the largest public interest communications firm in the country, where she worked on a wide range of social issues such as prison overcrowding, maternal health, and the security of electronic voting machines. She has written for the Albuquerque Journal on felon disenfranchisement and for Newsday on women’s reproductive rights. 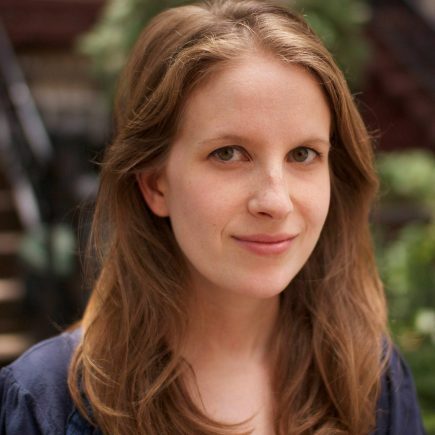 Caitlin’s writing has also appeared on the blog for Eli Pariser’s New York Times bestselling book The Filter Bubble, which she helped research. She is a graduate of Wesleyan University, where she earned her BA in philosophy.